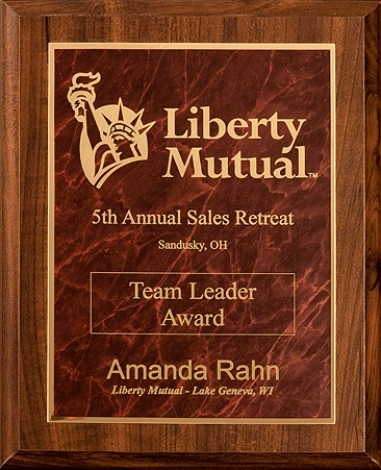 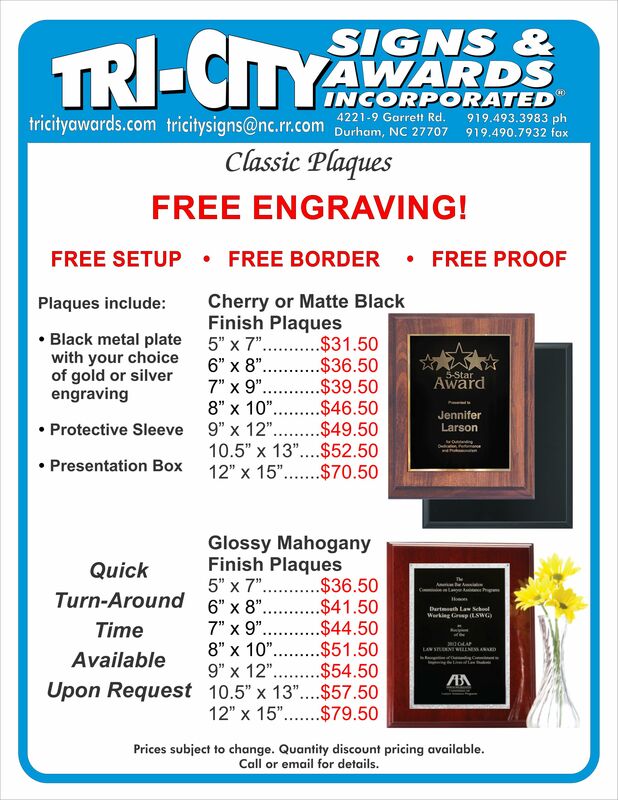 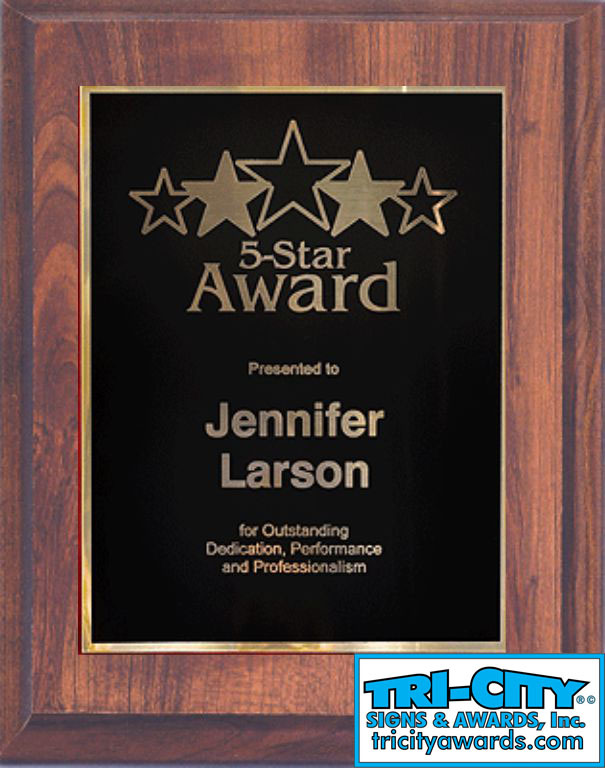 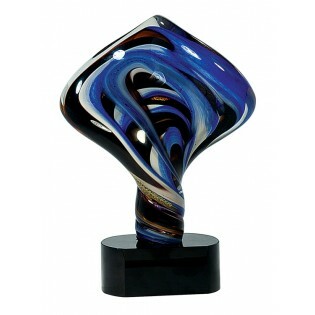 *Fast Turn-Around Time available on most Plaque Specials and Premier Products. 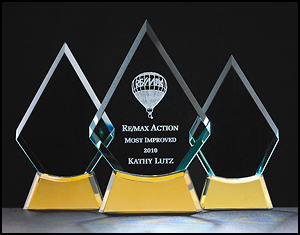 Free Engraving on all Trophies, Clocks, and Special Laser Plaques! 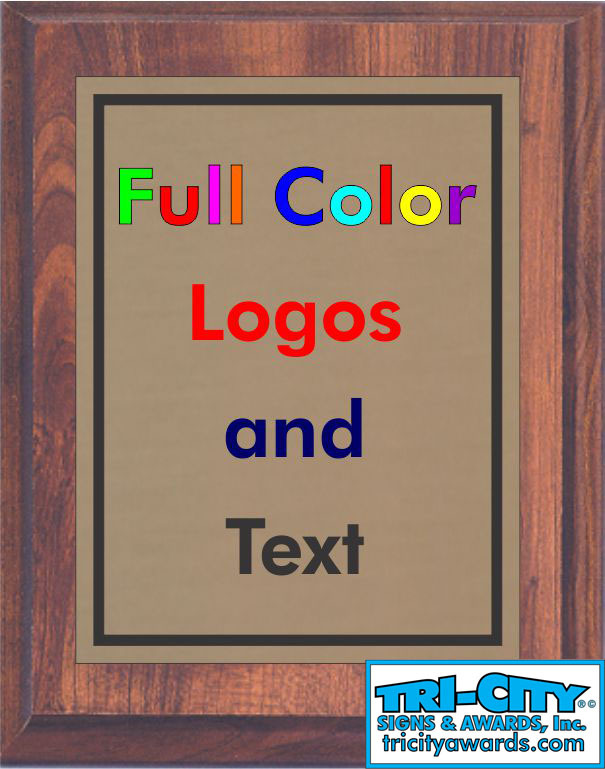 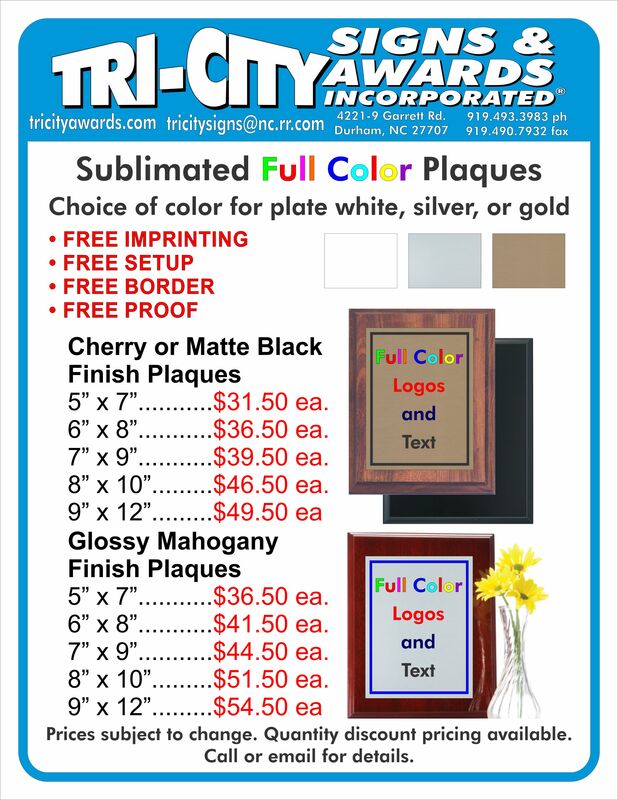 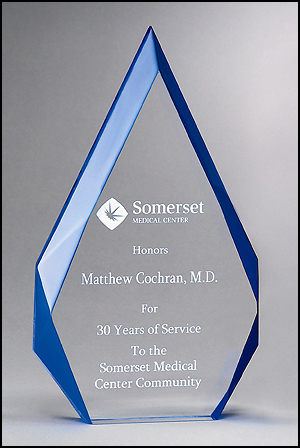 Free Printing on all Special Color Plaques! 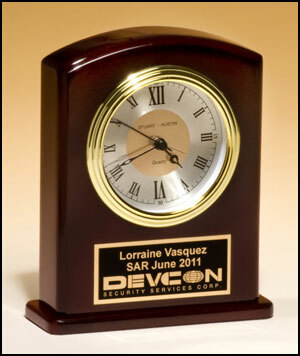 Discount engraving on everything else! 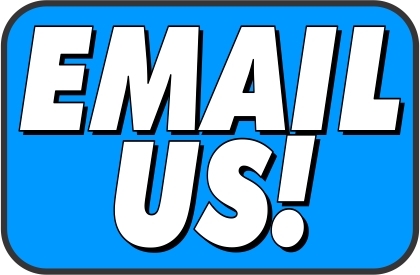 We don’t charge for numbers, special characters, punctuation, or spaces.